Perhaps the most heinous of dirty tactics used in child custody litigation, the false allegations of child sexual abuse upon your own children is at the top of the list. Though false accusations of child abuse (generally) are extremely common in child custody matters, the ultimate weapon used when all else fails are the false allegations of sexually abusing your own child. When you have a societal climate that portrays all males as potential sexual abusers and a family court system that has a propensity to err on the side of “caution” – the impact of a false allegation of sexual abuse is swift and severe. Further, even when you’re totally exonerated – your life is never the same personally, professionally, and you’re typically ostracized from your own community. Adding insult to injury – the false accuser is rarely punished. Another problem is that many of the professionals associated with the family court take the “smoke/fire” approach to false allegations of sexual abuse, setting out from the get-go to prove that the allegations are true. This is troubling because even the most innocent of situations can be twisted by a vindictive, high-conflict ex-spouse into deviant sexual activity between a parent and child. The reality is that a child who is made the victim of a false accuser is the ultimate abuse victim, even when the allegations are untrue. The level of invasive examinations, barrage of questioning by police and other mental health professionals, pressure from the falsely accusing parent – is child abuse in and of itself. Never shower or bath with your child. Depending upon the age, the act of bathing your child is unavoidable. What is avoidable is hopping into the tub or shower with them. Avoid being naked around your children. Whenever practicable, avoid having them being naked around you. Never sleep in the same bed with your children. If you have accommodations that permit separate sleeping quarters – all the better. Have witnesses every available moment. Of course this can’t possibly cover your entire day – but the more time you spend with others around, the more witnesses you have around to refute false allegations of sexual abuse of your children. If your child develops any rashes or other skin problems around their genital or rectal regions, always take them to the doctor at the earliest possible moment for an evaluation and advice for treatment. Ultimately, you will have to care for your child with such ailments. They’re common. Seeing a doctor rather than just addressing the matter on your own can be helpful when treatment is twisted into a potential false allegation of sexual abuse. Never in your wildest nightmares did you imagine a scenario in your parenting life that you would have to subscribe to such horribly unfair methods of self-preservation. 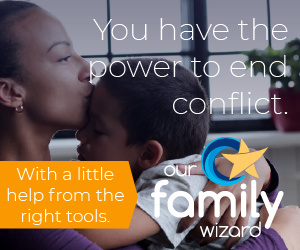 Unfortunately, these protections are essential when you’re involved in a child custody dispute with a high-conflict, vindictive ex-spouse who will spare no effort to separate you and the children. Utilize these suggestions with the understanding that they may likely only be temporary, though even a few months may feel like an eternity. The level of destruction that can be brought to bear on your life by a false allegation of sexual abuse of your children in a child custody situation cannot be overstated. The use of such a tactic is more common that you may want to believe. Protect yourself and protection your relationship with your children. In my thirty-years of expert consultation in matters concerning false allegations of child sexual abuse, a pattern has emerged: Many of those falsely accused have exercised “poor judgment” in allowing themselves to be in a situation that opens themselves up to false allegations. It is frankly a sad day in America in which one has to exercise the measures outline in this article, but nonetheless, it is necessary. I agree completely. Good job! 4years ago my sisters used our past to take control of our 3children threw the family court,last year a sister manipulates our 13yr old to write sexual allegations against me and there father its been nearly a year and i haven!t been charged with sexual abuse on my 2boys,but there father has been charged for our boys and daughter and is waiting in prison for the trial .Our children have given there evidence that nothing happened ,only what there auntie made them believe.4years later and many family court battles she still has care of my baby 6yrs.13yr old is contained in child,youth,and family home aunt beats him ,he runs away.our daughter given away by aunt to family i have never meet..this wonderful machine i have and am still learning the ropes ,has opened my eyes to the truth of how those in power use it against us,I have also connected with support,finding this page has opened my eyes to ,how greed can make my sister use sexual allegations to keep my child just for the money and revenge.NOTE-(Midwife neglects mother and new born child)my sister ,failed relationships,denial of drug addictions.